It’s time to meet The Duke, a noble addition to the Ocean Rodeo Mako kiteboard family. 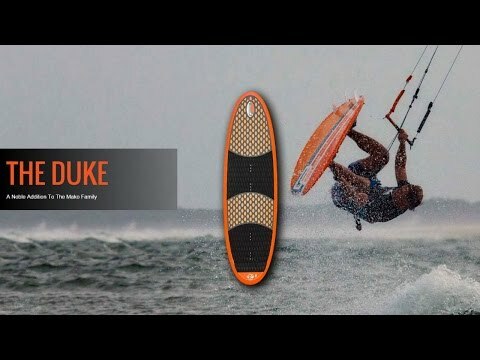 The Duke has been under development for 4 years and it is now ready to shred the waves. It is based on the characteristics of the Mako Concave. The Duke offers a smooth, hard carving ride that rips up wind, has a massive sweet spot and is incredibly stable. The fins are moved further back, giving the board a loose, free feel when turning off the tail at slower speeds and allowing for hard carving turns at higher speed off the rail. The board is equipped with a full EVA deck for optimal comfort and traction. As the guys at Ocean Rodeo say, The Duke is the world’s first, fully rethought, kiteboarding specific directional. You can check it out in action in the clip below.